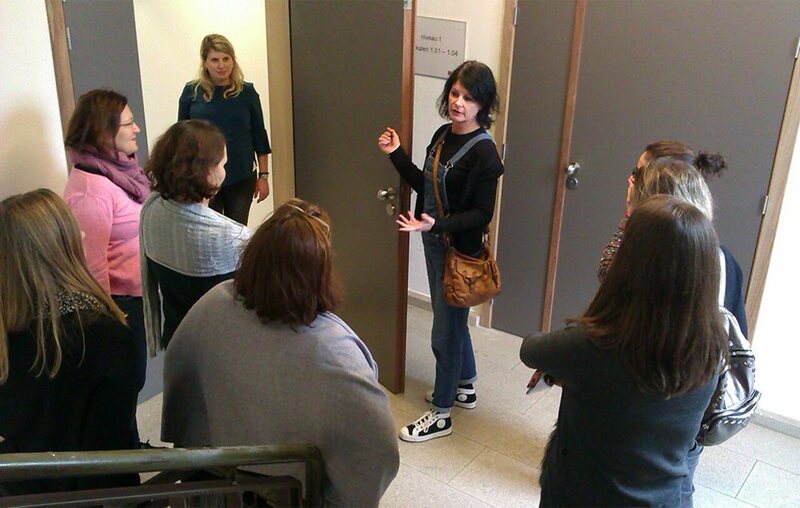 The first day of the project meeting took place at the impressive study premises of the new GO! campus Ruggeveld in Antwerp. The representatives of the project partners GO! CVO Antwerpen from Belgium (host of the final project meeting and the final conference), Axxell from Finland, C.P.I.A. 6 from Italy, Youth Entrepreneurial Service (YES) Foundation from Macedonia and Oslo Voksenopplæring Skullerud from Norway summarised their tasks and forthcoming final activities until the end of the year and the project itself, on the 31st of December 2016. The team also discussed the further exploitation of the project results and the policy recommendations in every country regarding promoting adult education and blended L2 learning, as well as linguistic integration of adult learners, including adult migrants, with the ultimate goal of enhancing their social inclusion. 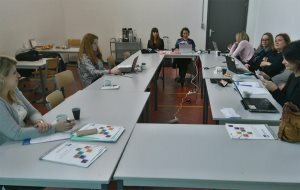 Project partners from Belgium, Finland, Italy and Norway held their practical workshops at the final conference during the second day of their partners’ visit in Antwerp, and the entire team participated in the overall programme of the conference. During the final day of 'Life, All-In' fifth transnational project meeting at the GO! 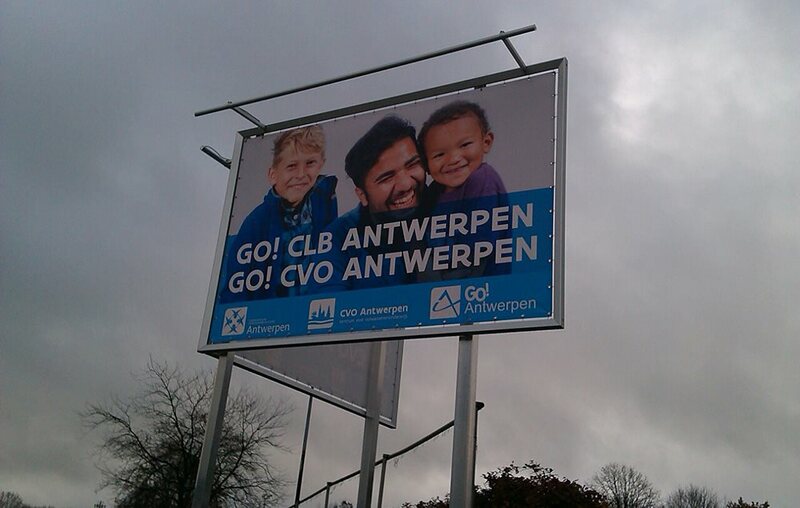 CVO Antwerpen complex in Hoboken, the impressions of the final conference, dissemination and sustainability, were the topics discussed among the partner organisations. Finally, a vibrant brainstorming sessions on new follow-up project ideas took place. The partners’ visit was concluded with a non-formal group activity at an authentic traditional Belgian brewery: after a formal tour, the team mates had a non-formal ending of their 2-year partnership, both truly satisfying! 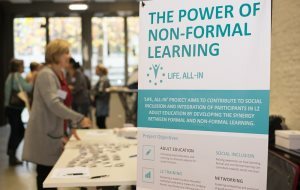 ‘Life, All-In’ has represented a successful accomplishment for each individual country participating in the project, for the partner organisations as well, and the partners’ consortium as a whole. Further dissemination of the project outputs that can be widely applicable on European level is expected, and it will be initiated with the sharing of the main project output, the ‘Life, All-In’ project toolkit on blending formal, non-formal and informal L2 learning for adult learners, including migrant adults, on the website of the Linguistic Integration of Adult Migrants (LIAM) initiative, by the Council of Europe. The project team considers this a recognition of the achievements of ‘Life, All-In’ project by the Council of Europe, which came in right after the LIAM initiative presentation during the project final conference, by Philia Thalgott, Leader of the Language Policy Programme, Council of Europe. The project toolkit was officially launched during the final conference on the 17th of November 2016, in Antwerp.